I sat down with Birmingham radio host Dave Massey on his BrumHour show, which showcases Birmingham-based businesspeople and discusses their online marketing experiences. Dave: You’re listening to BrumHour on Brum Radio. I’m joined now by Anna Gunning, who’s listed on Twitter as being a copywriter and content strategist, and we’re going to find out more about that. Good afternoon, Anna, how are you? Anna: Hi Dave, how’s it going? Dave: Very well, thank you. Can you tell us a little bit about what you do and how you got involved in it? 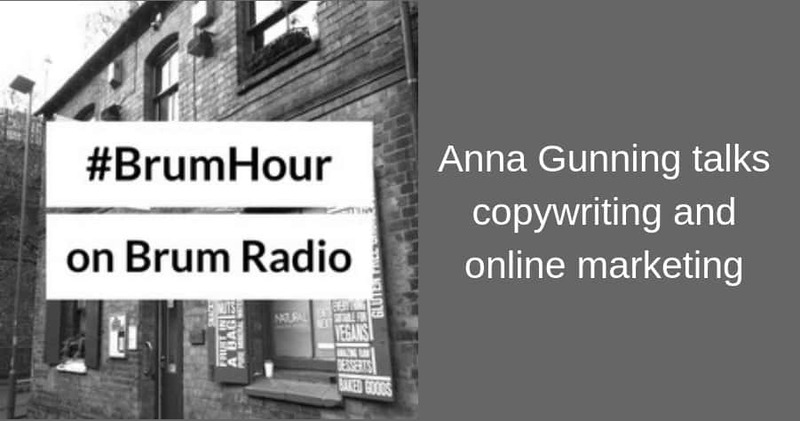 Anna: I’m the managing director of a copywriting business called Gunning Marketing, and we started about 2 years ago. We’ve now expanded and have 5 associates – based in the Midlands but also down in London and up North. We specialise in helping businesses find the right words to tell their story and to communicate with their customers – whether that’s online on your website, in your social media posts, in your blog posts, or whether it’s on your exhibition stand or in your brochure (the offline marketing you do, as well). We work with companies across the country across technology, industry, manufacturing and professional services, for example, helping them tell the right story to their customers. Dave: How does a business recognise they’re struggling with content? Do you go to them, do they come to you, or are your clients from established relationships? We go on a company’s website and then go on 2 or 3 competitor websites, and you can often see they’re saying a lot of the same things. We almost joke that you could swap out the logo and not be able to tell whether you’re ABC Manufacturing Limited, Acme Manufacturing Limited or XYZ Manufacturing Limited. Where we come in and add value is homing in on what about your innovation or what about your quality or service is really special. And finding those stories, finding the language and vocabulary to communicate that in a way that puts the customer front and centre. And then we’ll say: ‘So what?’ Because that’s what your customers think. Great service. So what? Then we go through that – So what? So what? So what? Until we can’t get any further. Then you’ve gotten to the crux of it. So customers get their components the next day. It means they can work in a just-in-time supply chain. They can get their purchase order in and not have to plan as far ahead. So they can deliver to their customers right on time really flexibly. Bingo – you’ve got it. Dave: Because that sort of polite language people use can be quite generic as well. I find that we as British people are very polite about what we do, and we want to say things in a very polite manner. But that can also stop us from being brave about saying what makes us unique. Sometimes I see businesses online that haven’t really thought through what their customer experience is going to be like – what that customer is going to find from Googling it. It’s then like creating a situation where customers turn up at a shop and find there are no opening hours written on the door. Just little daft things like that. When you say people aren’t doing something right, you’re obviously not using a hammer approach. When did you first realize that you had the skills to get people from a situation where they’re struggling with communication to becoming good communicators? Anna: I’ve been in marketing for more than 10 years now, and I’ve always worked in agencies both in London and in the Midlands. It started with knowing that I was able to figure out which questions to ask (diplomatically) to probe a bit deeper. One of the things about writing that’s even different from something like painting is that anybody can sit down at a keyboard and write a paragraph. Maybe you don’t have your commas in the right place and everything like that, but it will be English and it will be a serviceable sentence. So people think: ‘Why do we need to pay somebody else to write the words for us?’ When actually, if somebody said, ‘Please paint a still life of this bowl,’ most people would say, ‘Ah, I’m not a painter I can’t paint a still life!’ Even if you give me a canvas and paints, it won’t come out looking like an apple or a banana. There’s skill and craft involved in choosing the right words and putting marketing messages together in the right order to get somebody to take action. And that’s really the important thing when you’re thinking about writing for marketing as opposed to a poem or a creative writing. It’s always about getting people to take action. They’re not reading your website for pleasure, but because they want to solve a problem. You want them to solve it by choosing your product or service. The action is to download a brochure or to call a number to place your order. There is always something they need to do next to further the relationship with you. And that’s where your comment about the overall customer journey comes into play. It’s really important, when you’re putting together a brochure, writing a blog post or a social media post or attending an exhibition, to step back and think: Where is my customer in their purchasing process? What information do they need at this point in time to nudge them along to the next stage of their journey? So that ultimately, when they’re ready to open their wallet and part with their money, they’re going to form a partnership with you. Dave: Absolutely. Even 10-15 years ago, these things were done in person more because we didn’t have online shops. Products didn’t have to come with so much description. You went to the store and would physically look at it and then learn key facts. And from that point of view, it’s interesting to see how far we’ve had to come in terms of having more written content. 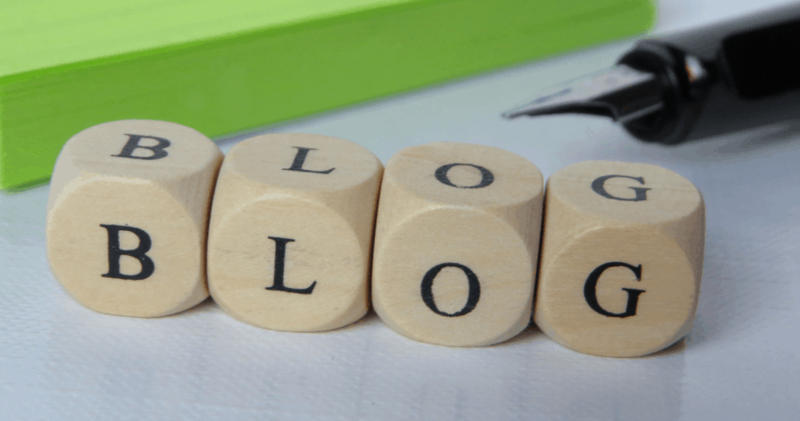 We have to spend more time on written content than we did 10-15 years ago. And then, over time, we’ve reached a point where you go on to a website like Argos’ (Argos being the one that’s had to transform), and you see every single detail about the products. And those details have been created by copywriters and content managers. So Anna, how can people get in touch with you to find out more? Anna: Our website is gunningmarketing.co.uk and my email is anna@gunningmarketing.co.uk. I’m also on Twitter @agunning. Dave: On the website you’ve got case studies and testimonials from people who have had lovely experiences with you. What are your plans for 2018? Anna: We’re hitting the ground running this year with a busy January coming into February, including some nice international stuff as well as our traditional core Midlands and Birmingham client base. 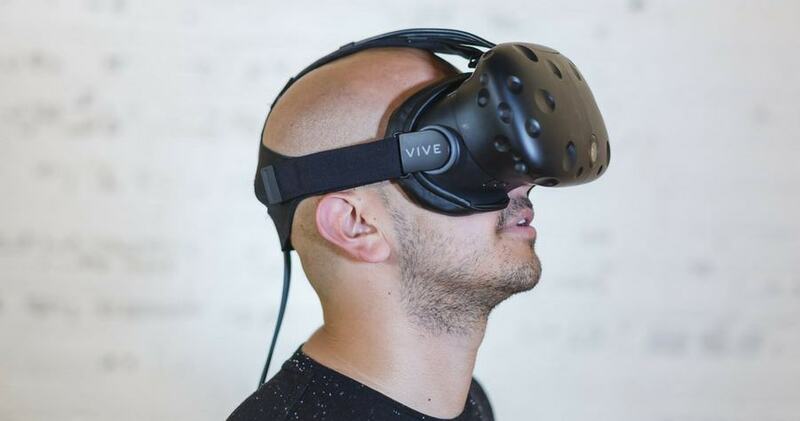 Dave: What are your favourite products to work with? Do you have any preferences for what people can approach you about? Anna: We do mainly business-to-business marketing, so that’s companies selling to other companies as opposed to direct to consumers. I like it because it’s a bit more complex. Often, you have bigger supply chains and lots of decision-makers involved in the process. And you’re often selling quite niche components and technologies, especially in the Midlands because we have such brilliant innovation and manufacturing here. Dave: And you have to be adept with the technical language as well. Anna: You definitely learn the languages you need to learn. Dave: I always feel like when you’re writing for different types of audience, there’s a skill in knowing what the audience wants to hear. Anna: That’s true, but it’s also important to remember that the person you’re talking to is still human. Even though professionally they may use the language of a manufacturing plant, they’ve still probably read Harry Potter. You don’t have to stuff your marketing with dry jargon – you still want to make an emotional connection. There was a study by Harvard Business Review of procurement managers to see whether they made purchasing decisions more based on rational or emotional reasons. The overwhelming percentage used majority emotional drivers in their decision making. Anna: Yes, because you think procurement takes a very rational approach to purchasing. But we’re still people, and there are psychological and emotional elements to every decision we make. And it’s important to remember that in all the marketing and sales you do. Dave: Fantastic, that’s absolutely brilliant. You can find Anna on Twitter @agunning, and her website is gunningmarketing.co.uk. Anna, thank you so much for popping down today to chat to us.